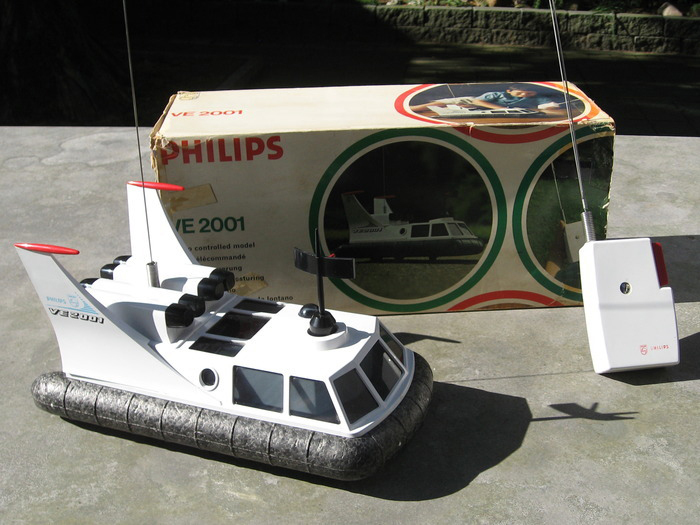 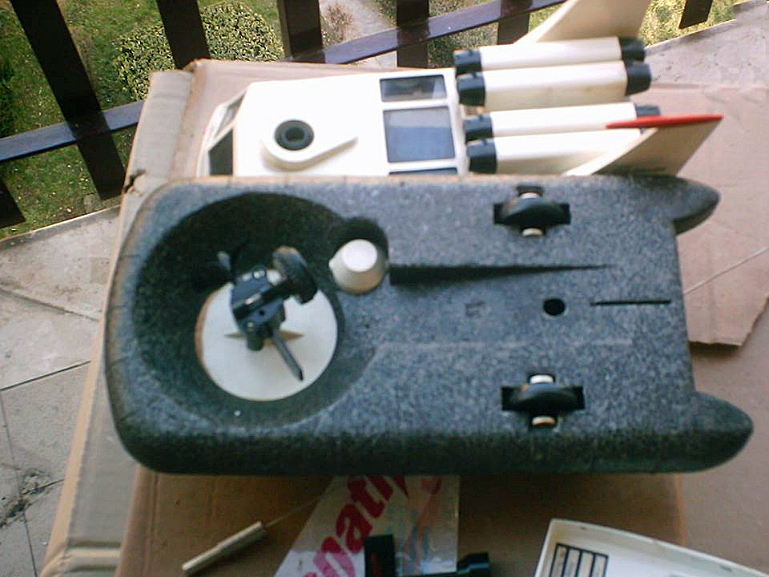 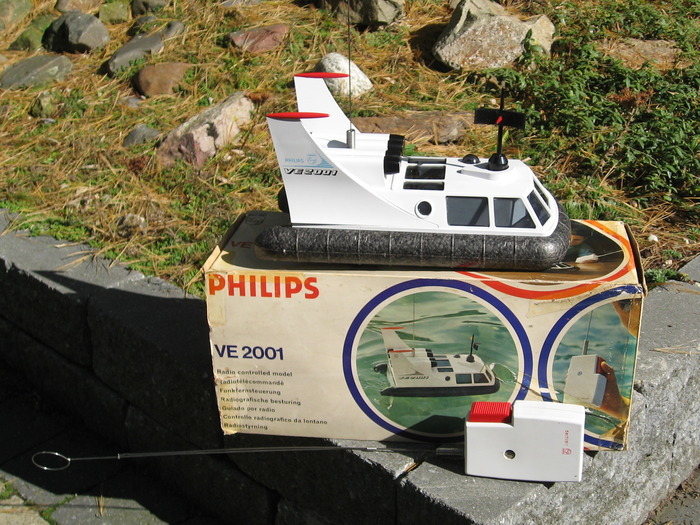 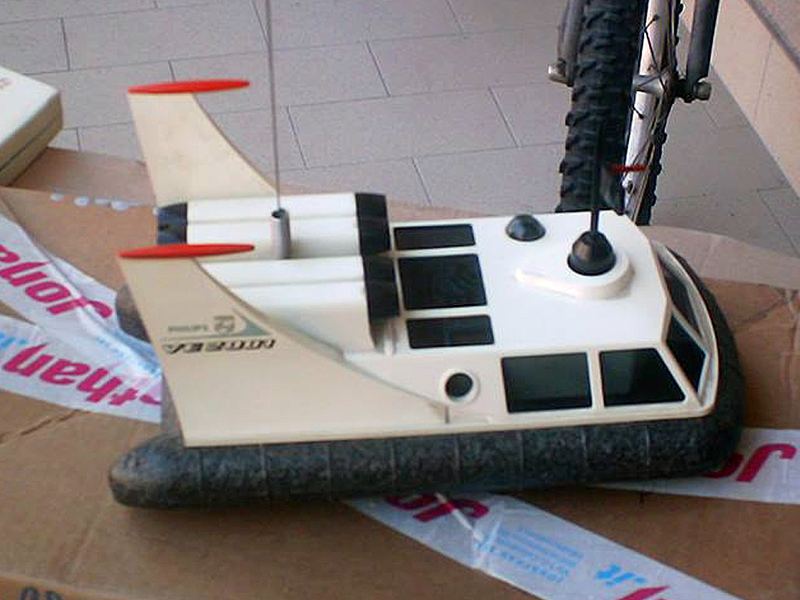 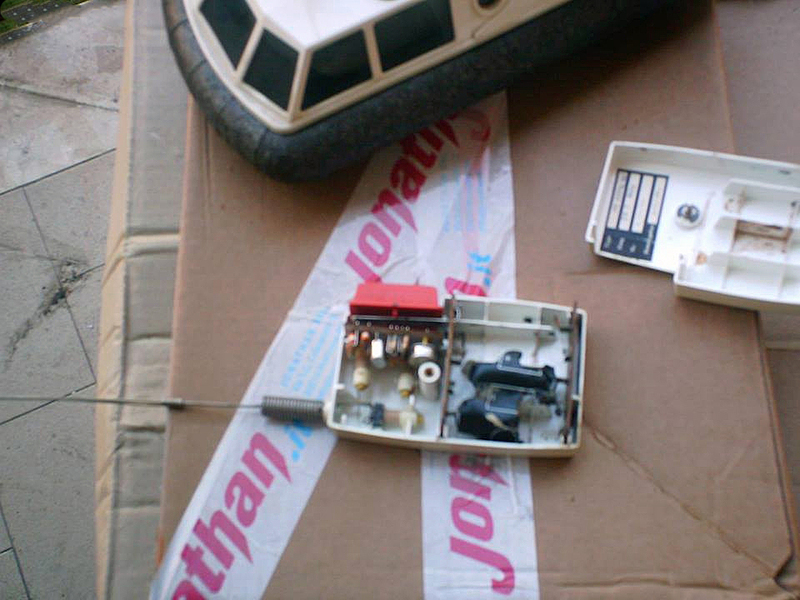 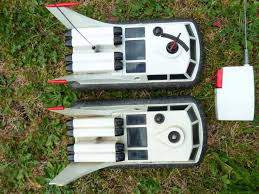 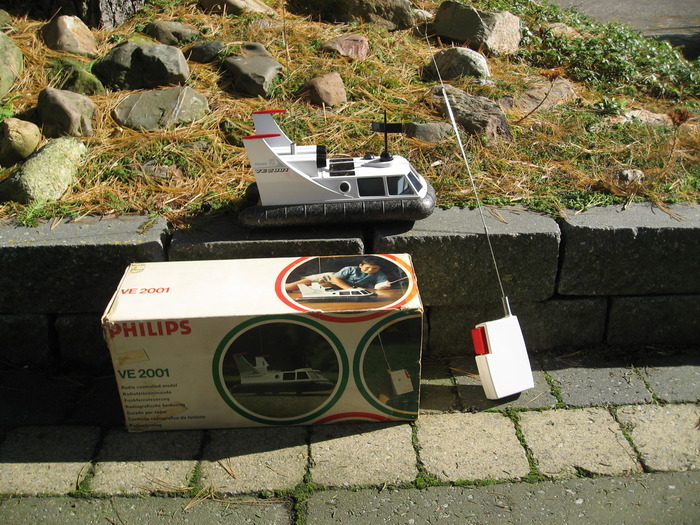 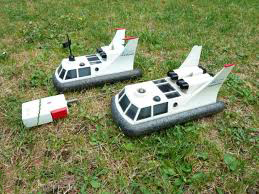 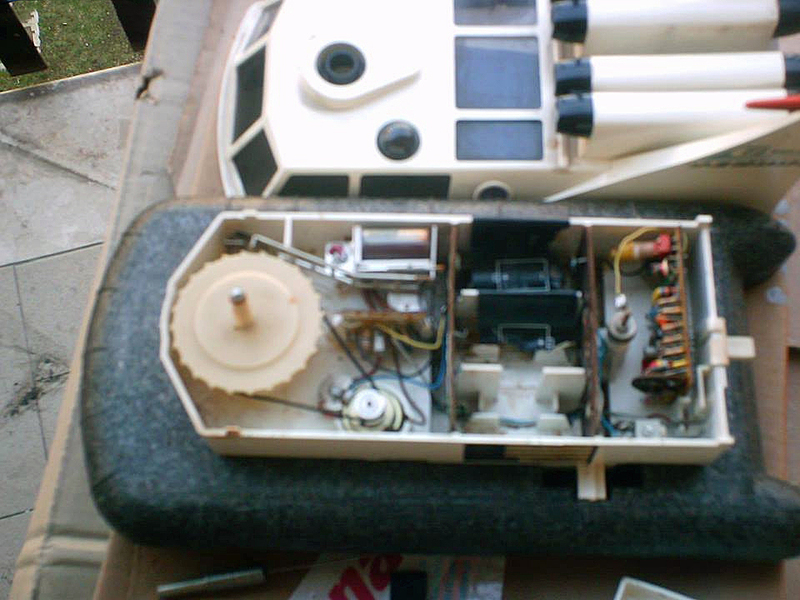 The VE 2001 is a miniature hovercraft. 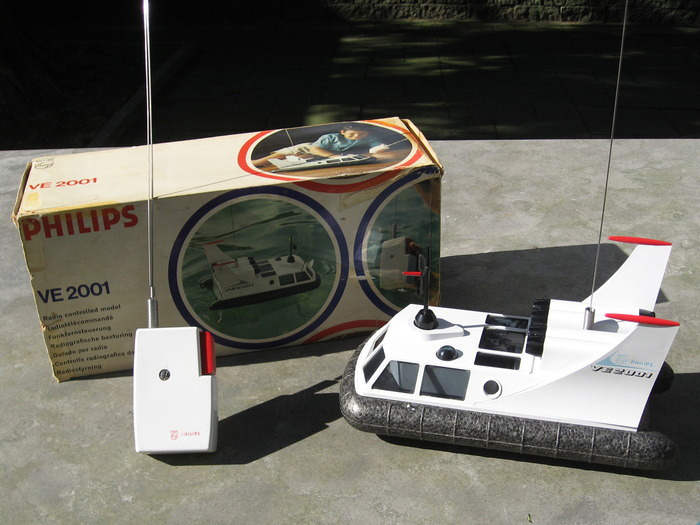 Not a kit, more a toy. 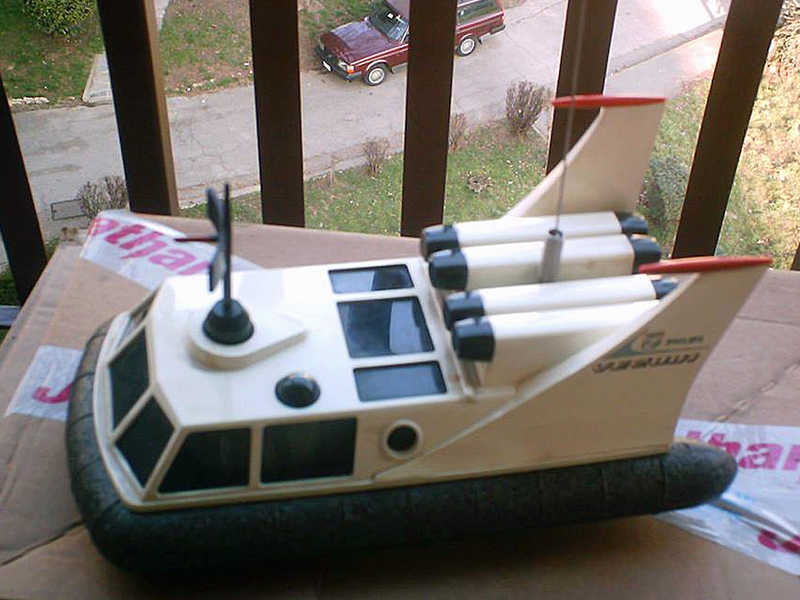 Produced around 1969. 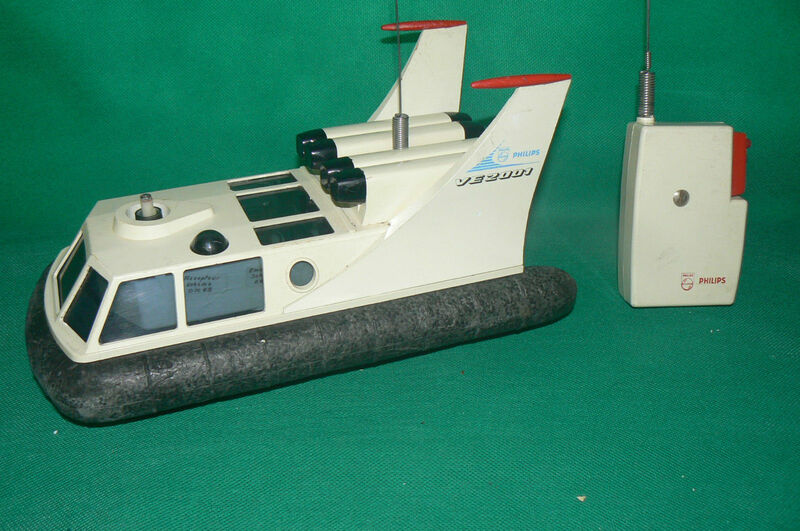 Can be used on land and on water. 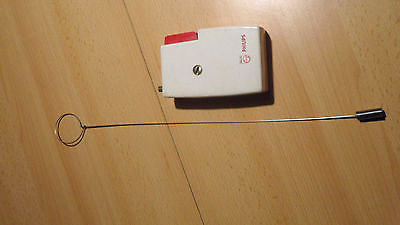 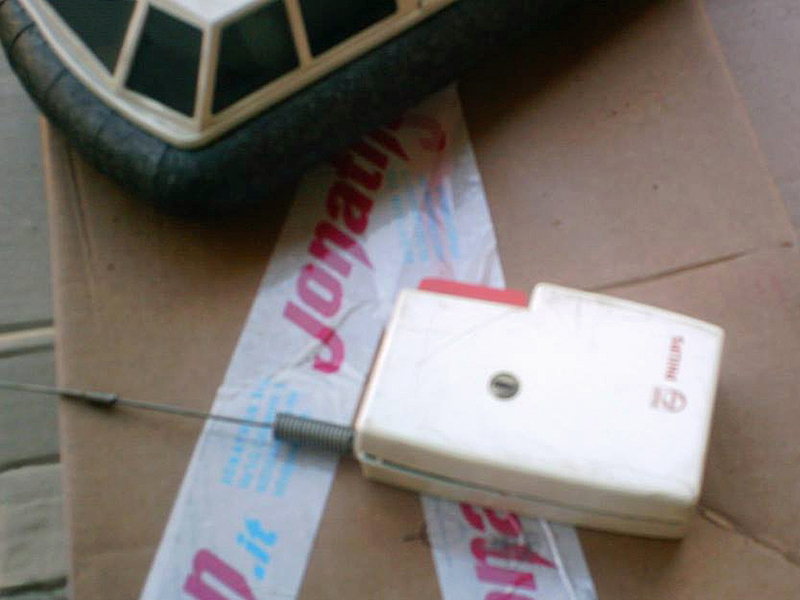 Remote rf controlled with separate hand control. 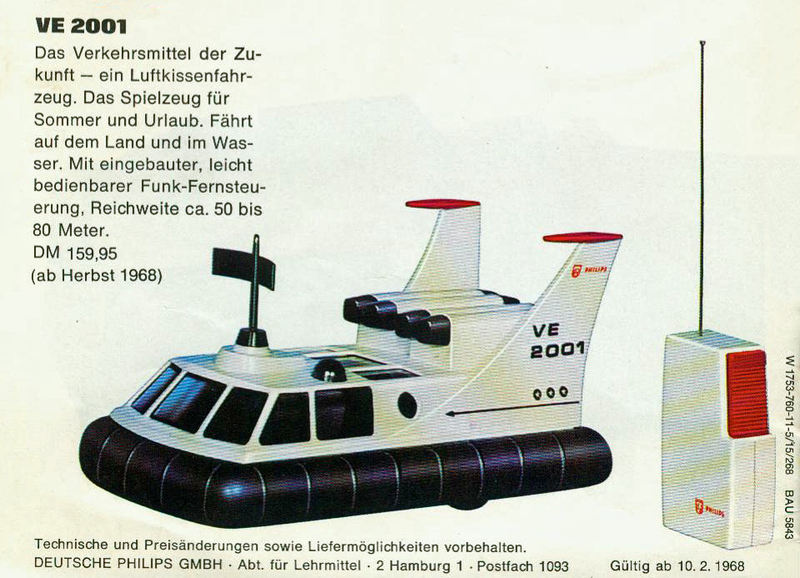 Prices DM 159,95, 2.250 F. Known to be sold in Germany, France from sales brochures. 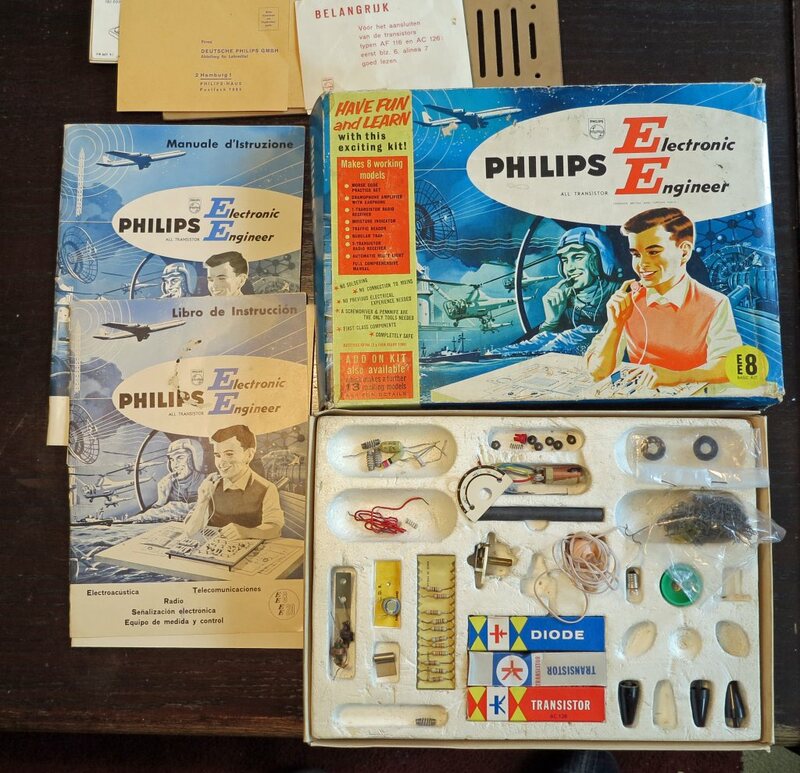 The languages visible on the box are German, English, Dutch, Spanish, French and some more.